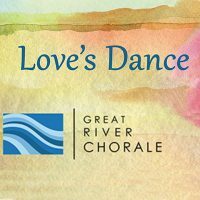 Great River Chorale is an auditioned and select community choir based in Saint Cloud that draws its members from nineteen communities across central Minnesota. Members range in age from 23 to 70-plus years and share a passion for singing and performing choral music at the highest artistic level. The 2015–2016 concert season marks the ensemble’s fifteenth year of enriching the central Minnesota community and beyond through the choral art. 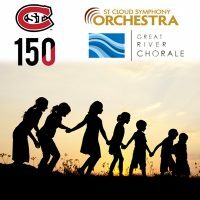 Great River Chorale is the principal choral partner of the Saint Cloud Symphony Orchestra and presents an annual concert series. 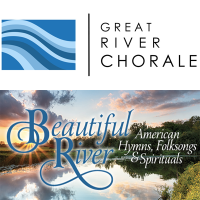 In April 2015 Great River Chorale performed at the Ordway Concert Hall in Saint Paul, Minnesota, as a headliner in the Northern Voice Festival. 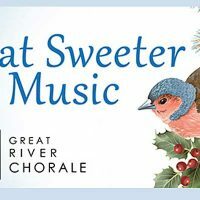 In 2013 and 2015 Classical Minnesota Public Radio selected Great River Chorale to be part of its “Taste of the Holidays” promotional CD, a collection of seasonal music performed by some of the region’s finest ensembles. The chorale has been featured multiple times on Classical MPR’s Regional Spotlight. Great River Chorale is led by artistic managing director Mary Kay Geston and is accompanied by pianist Barbara Brooks.